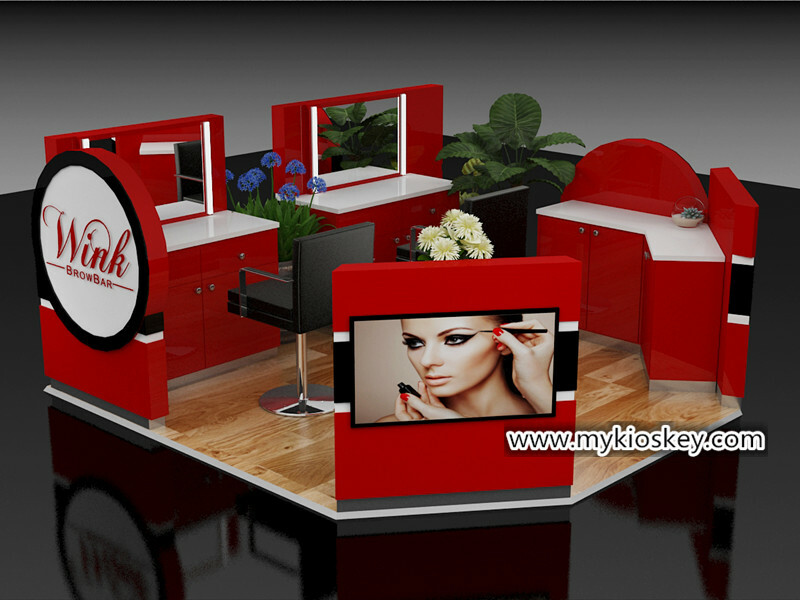 hi my friends , today i want share our company newest eyebrow threading station for mall. our factory already have been for about 12 years experience in eyebrow threading station project , we made many eyebrow threading kiosk to australia , america , canada, UK , spain and so on , no matter where you are in , we all can customized kiosk for you , welcome join us . 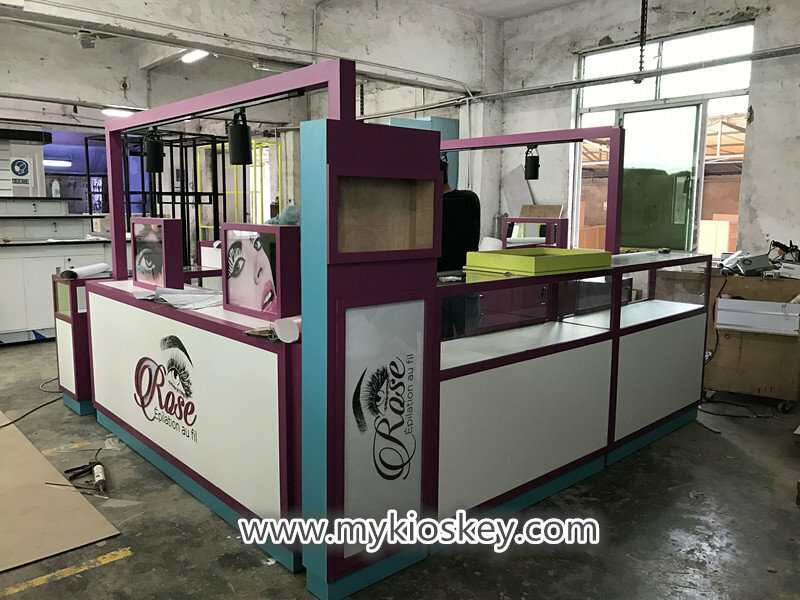 this style eyebrow threading station, we made it for canada , we made many set similar for different customers , it is very high-end and beautiful , frame of kiosk is mental with baking paiting. 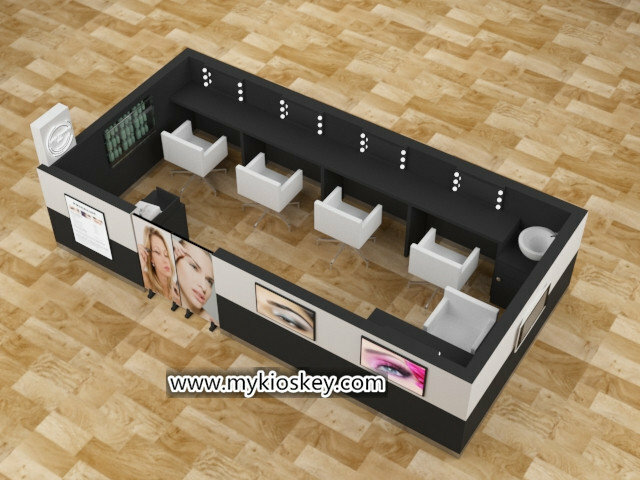 there are 3 eyebrow station and also have one side for glass showcase . 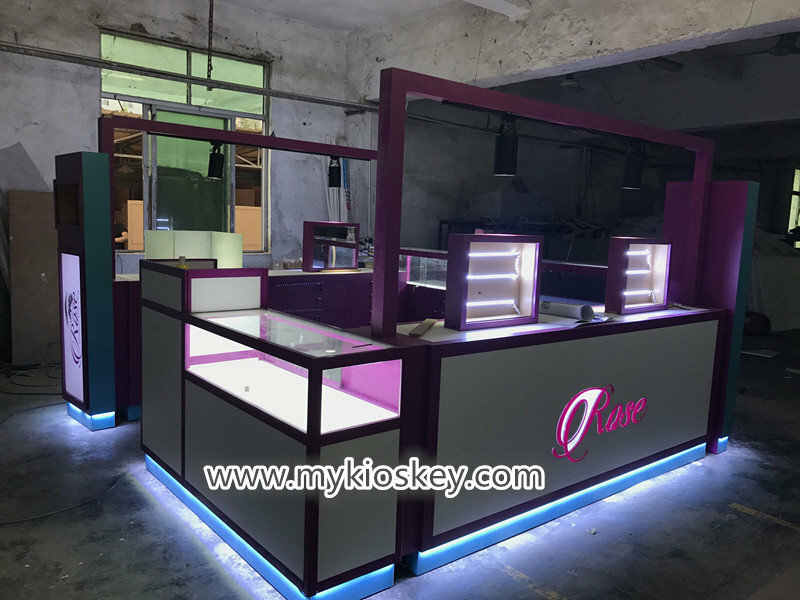 top mental with spotlight , the light is very beautiful . 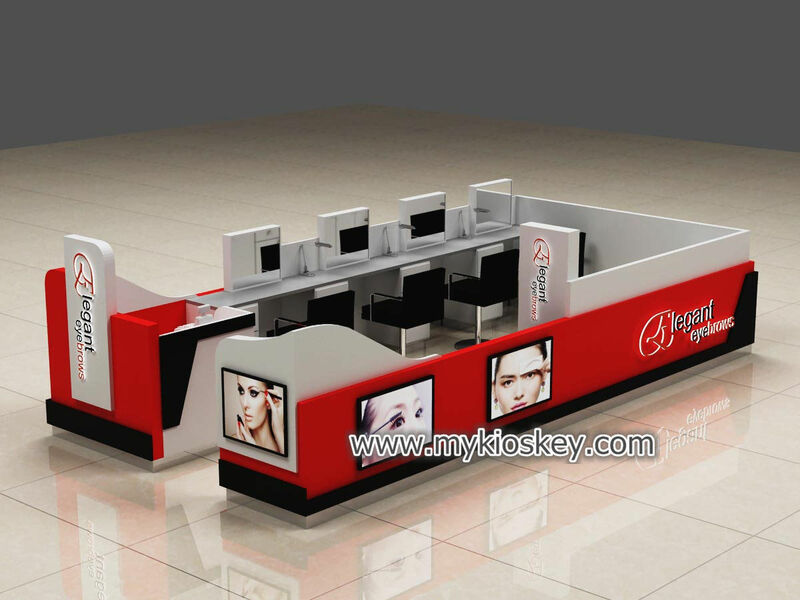 purple red color match blue , which let whole set kiosk more fashion. 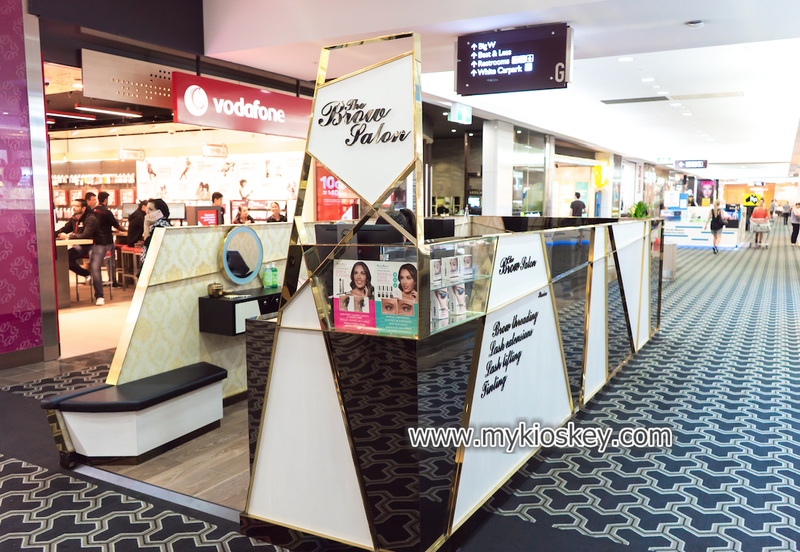 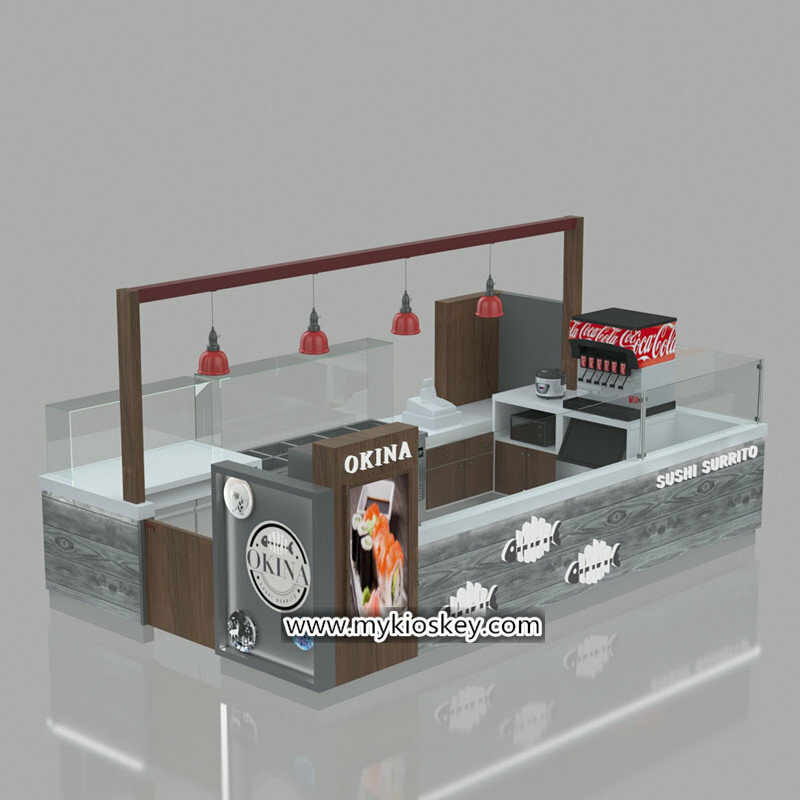 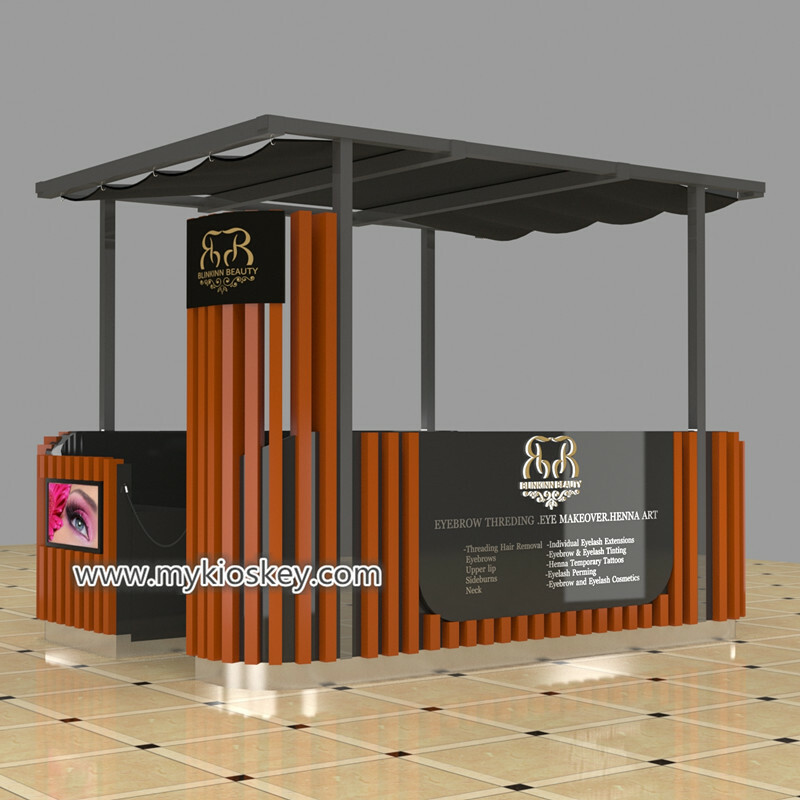 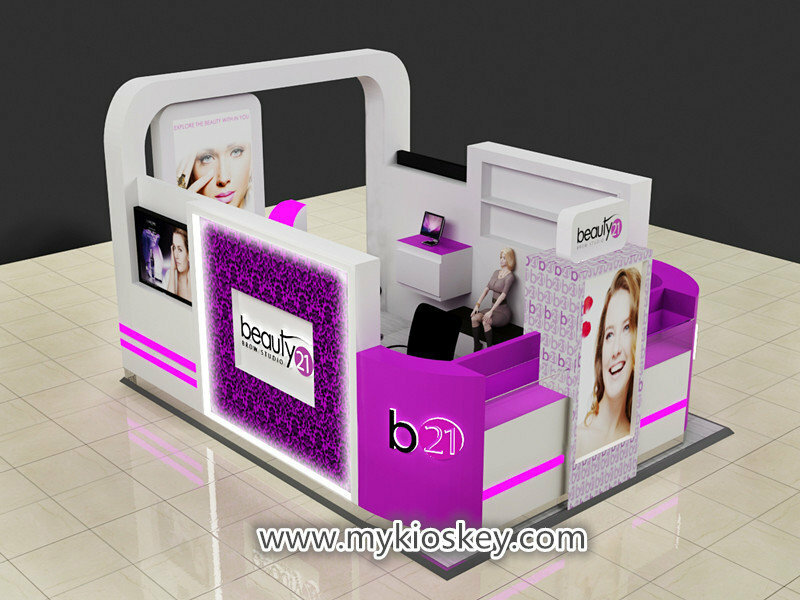 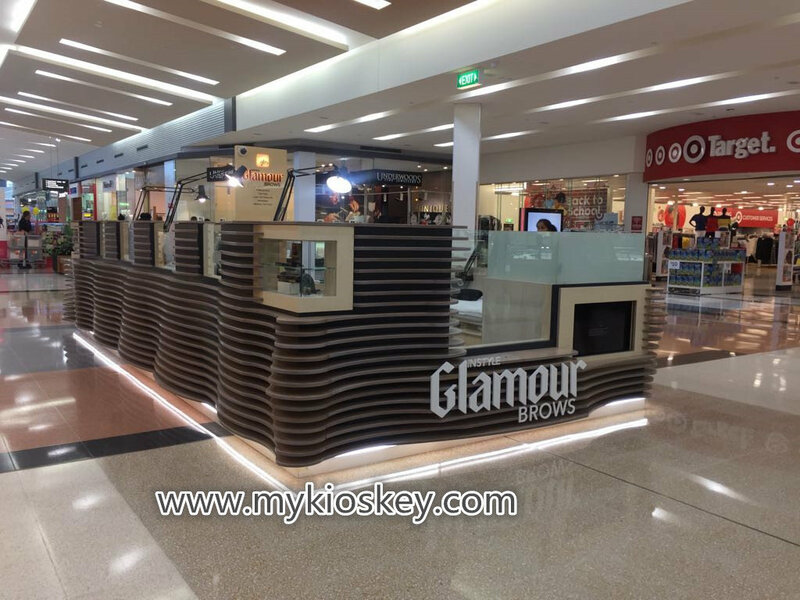 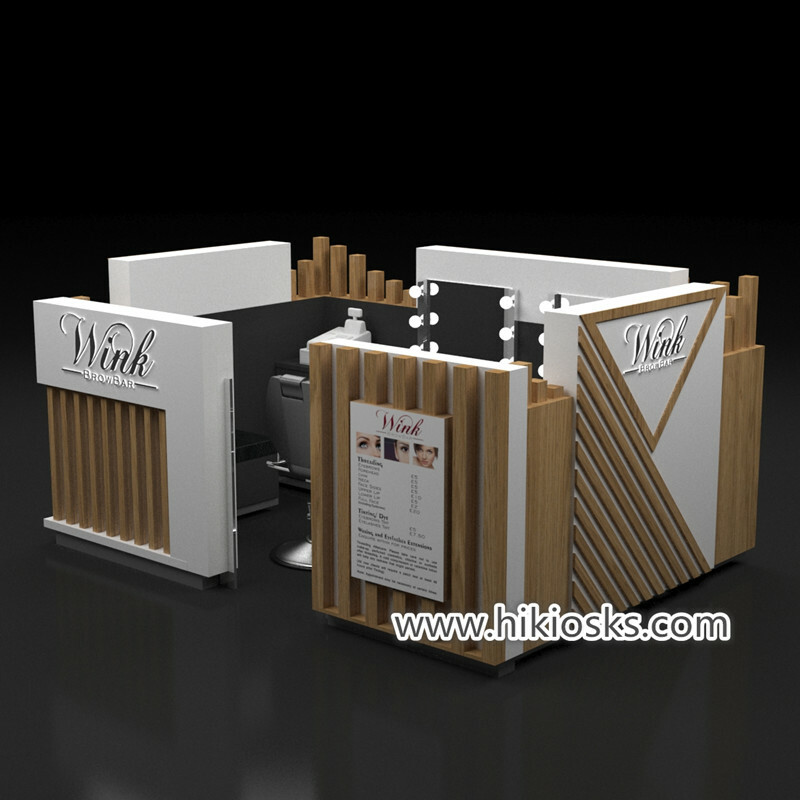 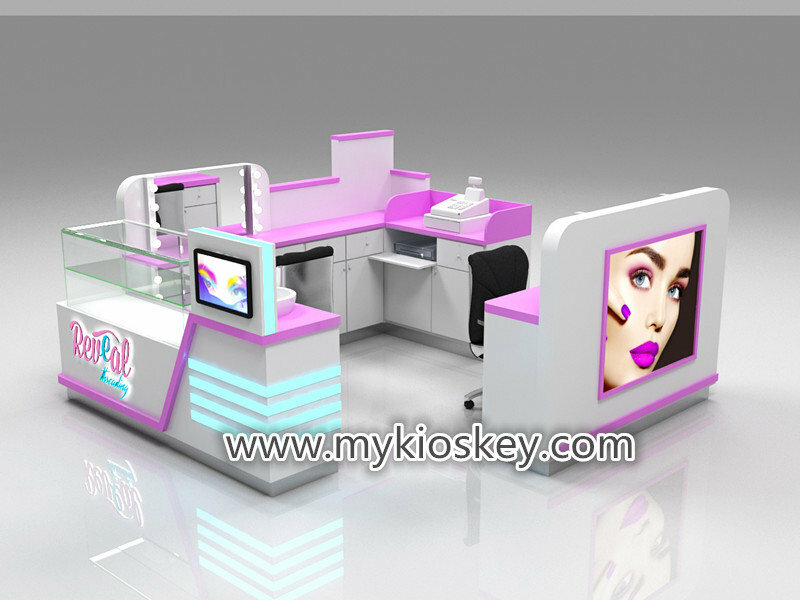 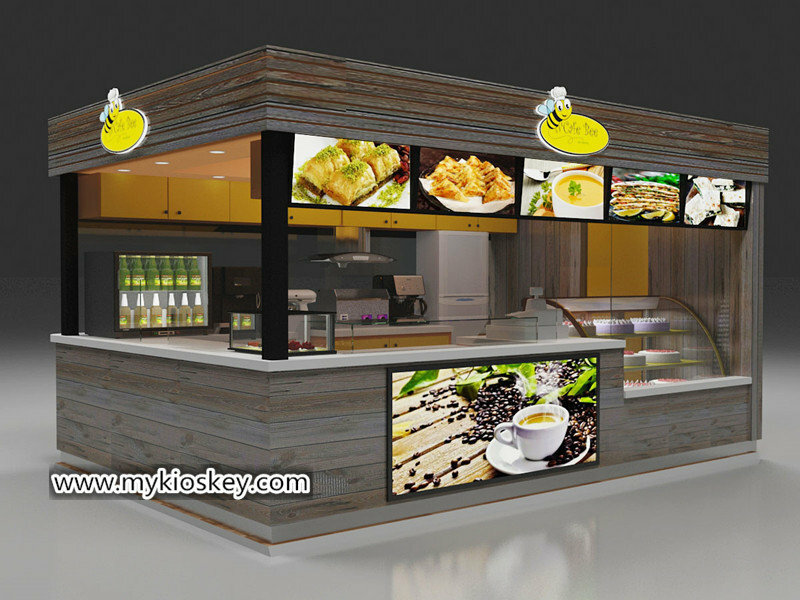 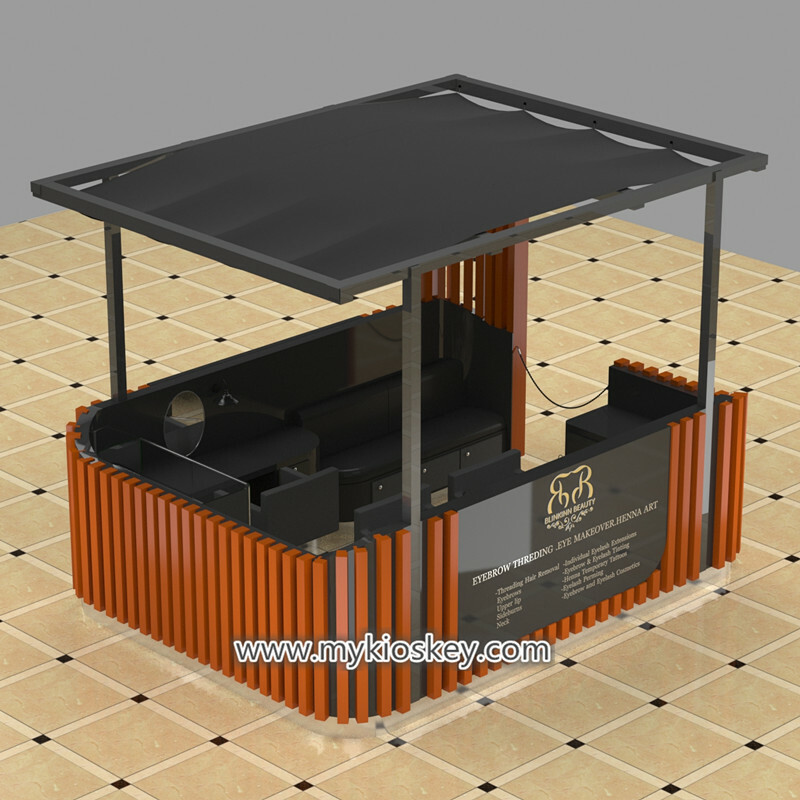 if you are looking for eyebrow threading station for mall , when you see our products and welcome send inquiry and tell us your place size , your ideas and requests , we can help you design kiosk for mall approved , when you got approved , we will help you build kiosk based on design drawings .